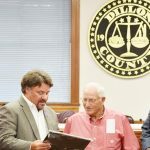 Several plaque presentations were made by the Dillon County Council recently. I would like to commend The Dillon Herald and its editor on the article and commentary concerning the Local Option Sales Tax (Thursday, June 15, 2017, issue). Thank you for bringing this to the citizenry. 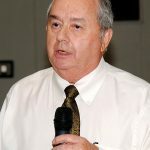 Northeastern Technical College Board Chairman Dan Bozard appeared before the Dillon County Council called meeting on Friday to talk about the approximately $114,000 that they have been getting each year from council for a number of years. 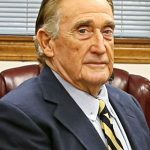 Councilman Jack Scott made some remarks about a meeting that he had on Friday morning with some people prior to the called Dillon County Council meeting. Here is the video from the called meeting of the Dillon County Council on June 16. The Dillon County Council voted to pass the second reading of their 2017-2018 budget on Friday, June 9th in a called meeting conducted by Vice-chairman Stevie Grice. The Local Option Sales Tax (L.O.S.T) is back in the forefront almost 22 years after it was passed by the voters of Dillon County on November 7, 1995. Dillon County Fire Station #3 officials announced today that the fire district improved their rating according to Insurance Services Office (ISO®) . SPECIAL TRASH PICK-UP AND EXTENDED CONVENIENCE SITE AND LANDFILL HOURS ON SATURDAY, JUNE 3rd! With the coming of the inland port and more industries with it, Dillon County Council is encouraging citizens to clean up around their homes and neighborhoods. 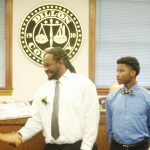 THE DILLON COUNTY COUNCIL honored the Dillon High School Basketball Team who were the Lower State Champions this year.